The Rivertime Boat Trust won the Canal and River Trust 2018 Living Waterways Award for Learning and Skills. The awards ceremony was held at the International Conference Centre in Birmingham on 20th September. 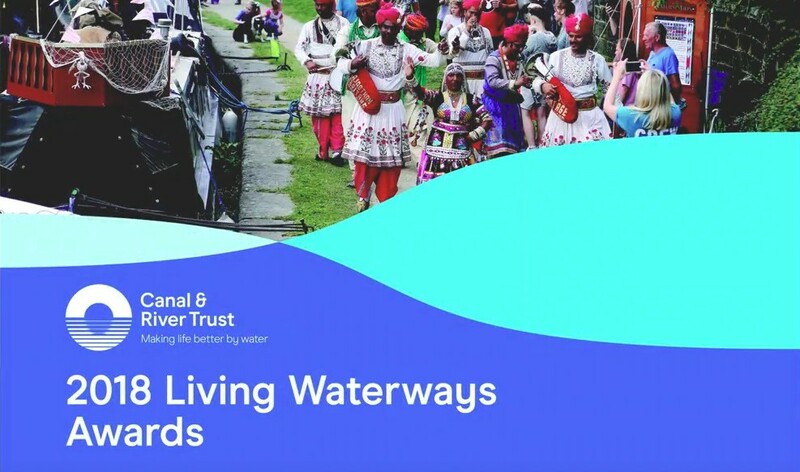 This is the fifteenth year of the awards which celebrate the achievements of those who are using waterways across the UK to help transform places and enrich lives. Rivertime’s award recognised the Rivertime Accessible Regatta for children and young people with disabilities held at Bisham Abbey each year since 2016. The event includes competitive bell boating, accessible sailing , wheelchair powerboating as well as a selection of land-based sports. In 2017 the club was extended to allow disabled people to attend Bisham Abbey on Sundays where they receive support from volunteer coaches. The award was received by Greg Wilkinson, Trustee of Rivertime and Peter May from Bisham Abbey Sailing & Navigation School.